While I was a teenager learning how to play guitar in the 70’s, I was an avid reader of Guitar Player Magazine and Circus Magazine, a rock music publication featuring a lot of great articles and photos of the major rock acts and stories of new up-and-coming artists in every issue. 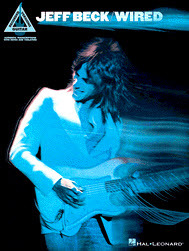 In one particular issue of Circus Magazine, I was struck by an advertisement for a new Jeff Beck instrumental album called “Blow By Blow”. Up to that point, I have heard Beck’s name but I have not yet heard his music or his guitar playing. He’s already been around for years. The advertisement intrigued me enough to get the album. That album became one of the most listened-to albums I’ve owned. He instantly became another one of my guitar heroes. Listening to Jeff Beck is a curious experience. For me, it’s like having a guitar lesson and a challenge to think outside of the box. If I was to describe Beck’s playing, I’d have to say it’s unorthodox, unpredictable, raw, beautiful, aggressive, edgy, and spontaneously, off-the-cuff. He plays with reckless abandon. His playing is a mixture of rock from every genre from the 50’s to the 90’s, Blues, jazz, and funk but maintaining a firm grip of his Blues roots. His music is full of a healthy dose of Marshall amplification, whammy bar madness, Fender Strats and an occasional Gibson Les Paul. He’s musically daring and has no qualms about musically painting outside of the lines. Jeff Beck’s music never gets old to me. His playing goes from sweetly beautiful to pure quirky insanity all in the same breath. You can’t help but to marvel at it because it defies explanation. Even his approach to playing is unusual. He used to play with a pick, like most guitarists, but later on changed to using his right hand fingers (mostly his thumb) for playing chords and solos and a heavy emphasis on using the guitar’s vibrato bar (whammy bar). As a kid, I spent hours sitting in front of the stereo picking off his songs and guitar licks from his albums. I still remember many of those licks and have played half a dozen of his songs in different bands. Some of his tunes have become standards for many guitarists playing in jam bands. Jeff Beck, is an English rock guitarist born in June 1944, and was one of the three noted guitarists to have played with The Yardbirds (the other two being Eric Clapton and Jimmy Page). Beck also formed The Jeff Beck Group and Beck, Bogert & Appice in the 70’s before going as a solo artist. Beck wasn’t a “schooled” guitar player, he was entirely self-taught but that didn’t stop him from growing as a musician and breaking new ground. Beck surrounded himself with accomplished musicians and even though he lacked the formal training that his band mates had, he is easily able to keep up with them. The result was always magical! 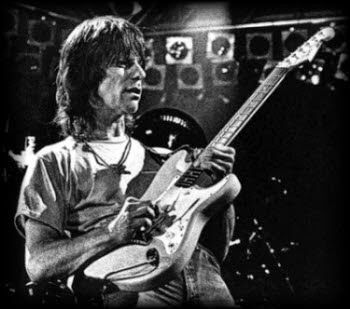 Jeff Beck was ranked 5th in Rolling Stone’s list of the “100 Greatest Guitarists of All Time” and the magazine, upon whose cover Beck has appeared three times, has described him as “one of the most influential lead guitarists in rock”. He earned wide critical praise and received the Grammy Award for Best Rock Instrumental Performance six times and Best Pop Instrumental Performance once. In 2014 he received the British Academy’s Ivor Novello Award for Outstanding Contribution to British Music. Beck has been inducted into the Rock and Roll Hall of Fame twice: as a member of the Yardbirds (1992) and as a solo artist (2009). Every guitarist should listen to Jeff Beck. If his playing doesn’t grab you right away, give it another listen. You’ll hear something totally different the next time you listen to it and with that, I’m sure his music will grow on you. “Blow by Blow” – This album is a masterpiece and it should be in every guitarists music library. Juicy tunes and guitar playing all throughout. The grooves and the riffs are all very memorable. “Wired” – This album was the perfect follow up after “Blow by Blow” and it delivers every bit of the musical punch of the previous album. “There and Back” – This one is another powerhouse with some really cool tunes on the aggressive side. Again, great tunes fill this album. “Emotion and Commotion” – A great sophisticated piece of work. This one was the highest charting album by Beck in the UK and he scored a Double Grammy Award with this offering. 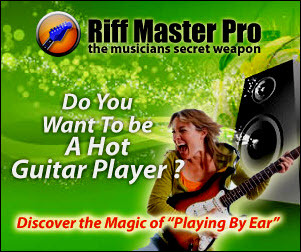 “Guitar Shop” – This one has a bunch of great riffs bleeding right off the recording. A bit more produced piece of work but nonetheless superbly put-together and down-right SMOKIN’! Blow by Blow Book for Guitar. Guitar Recorded Version. Softcover. Guitar tablature. 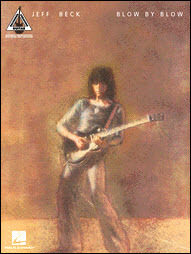 “Blow by Blow ranks as one of the premiere recordings in the canon of instrumental rock music.” With this folio, you can play every guitar note exactly as it was recorded on Jeff Beck’s landmark 1974 album. Guitar Recorded Version. Softcover. Guitar tablature. Matching the 1976 album, this collection features 8 jazz-rock fusion instrumentals. Includes Beck’s praised interpretation of the Mingus classic “Goodbye Pork Pie Hat,” and other tracks from the legendary guitarist. 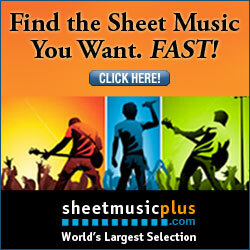 (Play Along with Six Classic Jeff Beck Tracks). 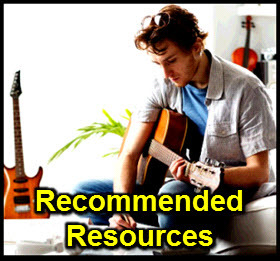 Play along with six classic tracks, transcribed and arranged exclusively by guitarists for guitarists! 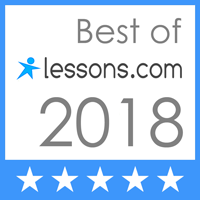 These note-for-note transcriptions in standard notation and guitar tab feature full top lines with lyrics and chord symbols, as well as a breakdown and analysis of each solo, containing essential hints and tips. Includes special practice tracks on the CD, with slowed-down versions of the solos, in demonstration and play-along formats.